In this intimate performance, Afreena invites you to take a seat around her dinner table as she serves up second-hand stories of her father’s past, present and what little she imagines is left of his future. Exploring what it means to be her dad’s daughter in the context of the anti-immigration rhetoric she is surrounded by, Afreena follows her dad’s journey to this country and his journey to this day. 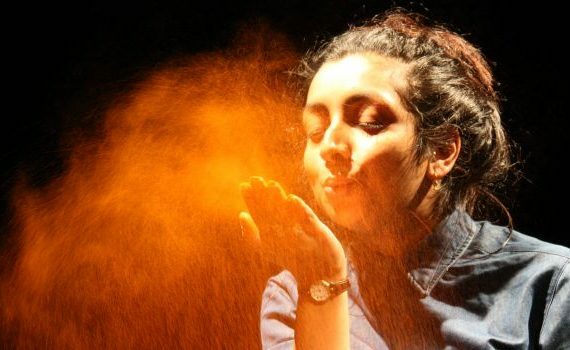 Daughters of the Curry Revolution is presented in association with Stratford Circus Arts Centre. Please note that (pre-packaged) food and shots of alcohol are served during the performance. While under 18s are welcome to attend the performance, they will not be served alcohol and all audience members are welcome to refuse food/alcohol during the performance.